My first foray into the world of pencil art. 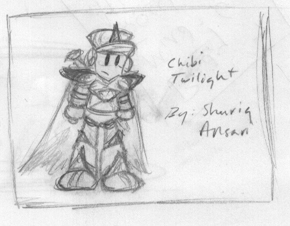 Twilight is a Rockman X fan-character I'm currently using in a role-playing campaign. 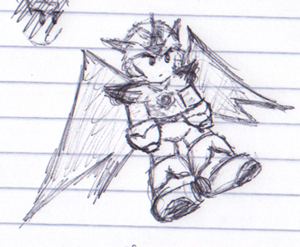 A winged warrior, in a Rockman style armor. Drawn in my red notebook, which explains the blue lines.